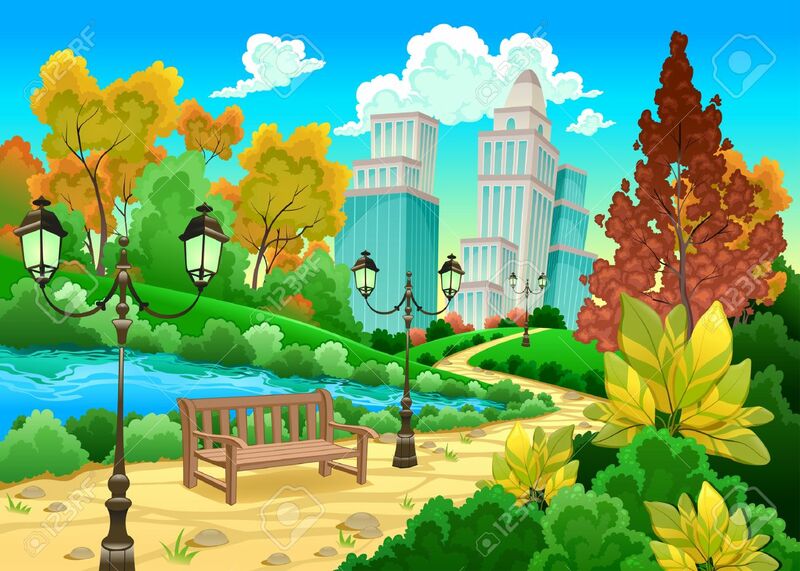 Urban Scenery In A Natural Garden. Cartoon Vector Illustration Royalty Free Cliparts, Vectors, And Stock Illustration. Image 41078664.